Turkey is one of the best places in the world to explore by road. The country itself is so diverse and the terrain ever changing as you move around, offering a variety of views and sites along the way. It is also a delightful country to drive in for the most part, particularly outside of the major cities. The highways are long, wide and well maintained these days and compared to roads at home, they are largely empty! Planning a road trip anywhere in the world means that you are completely free to go where you want, when you want and it offers you the freedom to stop any time you like and of course to go off the beaten track if a particular route takes your fancy. These are our favourite Turkish road trips! Begin your Black Sea adventure in Turkey’s capital city, Ankara, a city that is easy to fly to and full of incredible political history. Ankara is where the modern day Republic of Turkey was established after Atatürk moved his government there from Istanbul. 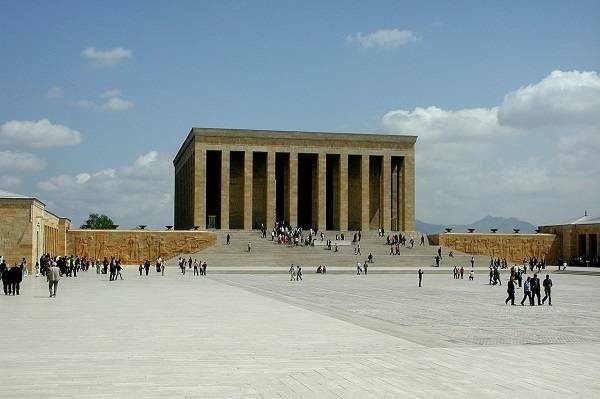 There is much to see in the capital city, but one absolute must-do during your time here is the Anıtkabir, Atatürk’s mausoleum. Not only does it serve as a resting place for the leader, but much can be learnt about the man and his movement at the adjacent museum which houses his writings, letters and personal items as well as an exhibition of photographs recording important moments in his life and during the establishment of the Republic. It is the perfect place to learn about the country that you are about to explore! If you feel like getting out of the city, take a two hour drive to the area around Bolu which sits on the old highway between Ankara and Istanbul. Here you will find many places of interest, including the great Lake Abant, a natural wonder which has become a hot spot for Turkish holiday makers thanks to its stunning beauty, wildlife and fishing qualities. The hot springs at Kaplıcalar are also fun to experience and the famous crater lake, Gölcük is described as a piece of heaven on earth, the perfect spot for a picnic where you can rent bikes or hike around the small lake. 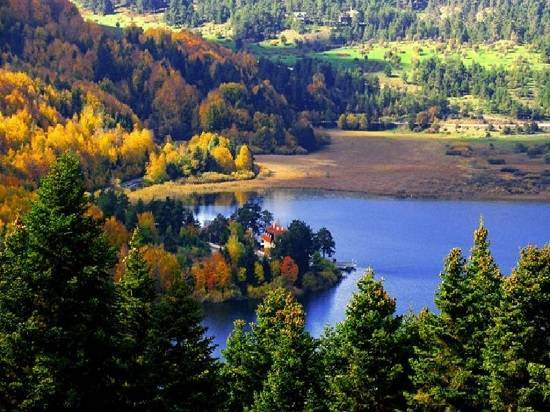 In fact the whole area surrounding the city of Bolu is a walker’s paradise! Ankara to Samsun is approximately a five hour drive, taking you to the the largest city on Turkey’s Black Sea coast. This would be the perfect culture stop on your road trip with major shopping malls and the Atatürk Culture Centre offering concerts and other performances. It is also the perfect half way point between Ankara and Giresun, the place where Romans discovered cherries! Before you reach Giresun, be sure to make stops at the the small coastal towns of Ünye and Ordu, both hazelnut growing towns with beautiful coastal views. Stock up on your hazelnut produce here while you can! While staying in this Giresun, be sure to take in some of the oldest Ottoman houses in the country and the well preserved castle. Perhaps take a day trip over to Giresun Island, linked to the tale of the Argonauts and the Golden Fleece. Otherwise, spend a few days exploring the Turkish highlands and places such as Kümbet, a popular tourist attraction due to its number of mausoleums and the settlement of Bektaş. 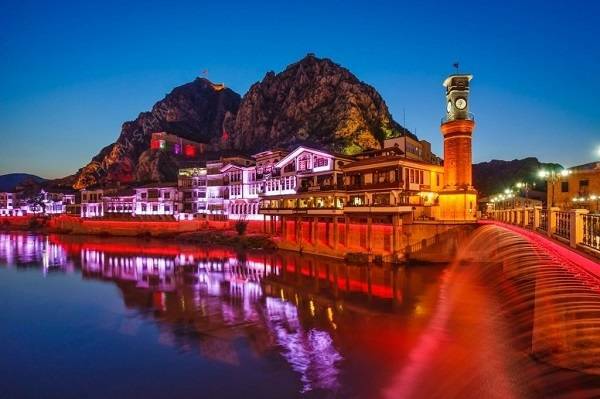 For a day trip out of the city, consider visiting one of the most attractive towns in Turkey, Amasya. This was the first capital of the Pontic Kingdom before its rulers moved to Sinop in 120BC. Heritage Ottoman houses overhang the water and floodlights beam up at the cliffs near the citadel to highlight the well-preserved Pontic tombs. This was the ancestral home of the classical geographer, Strabo. Later, held as Seljuk territory, it was sacked by Genghis Khan’s Mongols in the mid 13th century. 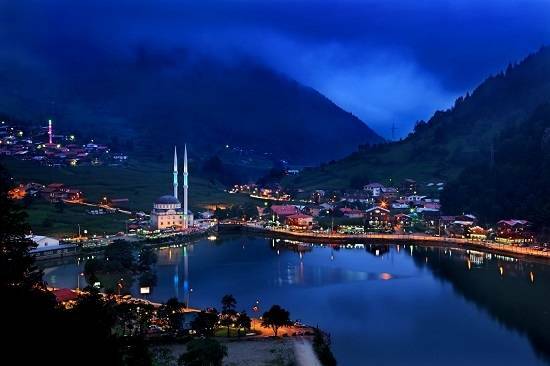 Moving on to Trabzon, a couple of hours along from Samsun, here is where you will want to spend most of your time. The birthplace of Suleyman the Magnificent, Trabzon has a number or tourist attractions, some dating back to the times of ancient empires that once existed in the area. While there are a number of interesting things to do in the city, the area’s main attractions are the Sumela Monastery and Uzungöl Lake. The monastery is built on the side of a very steep mountain overlooking the green forests below and Uzungöl is famous for incredible natural beauty and amazing scenery. Also important to add, Trabzon is becoming an investment hub these days where property in Trabzon is widely popular by foreign visitors too. The town of Rize is just a short drive away too, famous for its tea plantations. Take the time to visit one of the plantations and sip on many glasses of locally produced tea! Most importantly, while exploring the Black Sea region, take the time to go off the beaten track. Some of the most exciting mountainous escapes and views can be found completely by accident, so don’t be afraid to leave the highways! The route along the west coast of Turkey is one of the most popular road trips in the country. You should start in the cosmopolitan city of Izmir which has its very own airport and is well worth exploring for a few days. Not only can you enjoy fantastic shopping opportunities and a bustling nightlife, Izmir is home to many ancient sites, nine synagogues, a beautiful marble clocktower at the harbour and the Izmir Bird Paradise, a bird sanctuary which recorded 205 species of birds, registered as a protected area for water birds and for their breeding. A nearby open-air zoo has also been opened called the Sasalı Park of Natural Life. Just an hour south of Izmir is the ancient Greek city of Ephesus, one of the most important and most popular sites in Turkey. 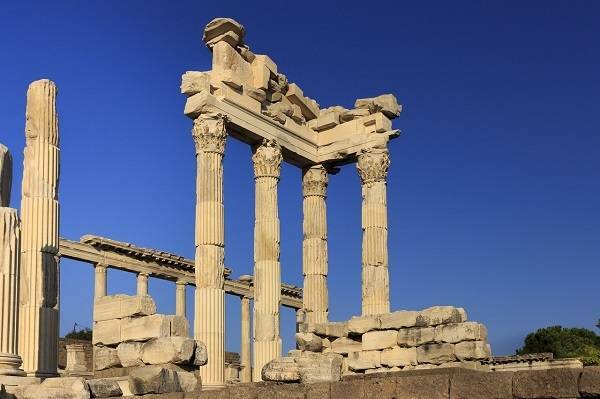 The city was famed for the Temple of Artemis, completed around 550 BC, one of the Seven Wonders of the Ancient World. Ephesus was also one of the seven churches of Asia that are cited in the Book of Revelation and it is believed that the Gospel of John may have been written here. There are a huge amount of sites to see at Ephesus and it is recommended that you spend at least a couple of nights in the nearby town of Selçuk in order to make the most of your time. Selçuk also happens to be the home of camel wrestling in Turkey! If you happen to be in the area in February, head down to the beachside arena to admire some very well dressed camels! On your west coast road trip you would do well to venture inland and inhale the sight of the unique cotton castle of Turkey, Pamukkale. This natural site close to Denizli city contains hot springs and limestone travertines which create the most amazing terraces of carbonate minerals left by the flowing water. The waters were once said to bring good luck to those who bathed in it and did once attracted a huge number of pilgrims to the area. Try your luck in these special waters and then enjoy the ancient ruins of the city of Hierapolis, a world heritage site which sits just above the cotton castle. Here you will find one of the world’s few gates to hell, Pluto’s Gate, rumoured to kill any living being that ventures near it! 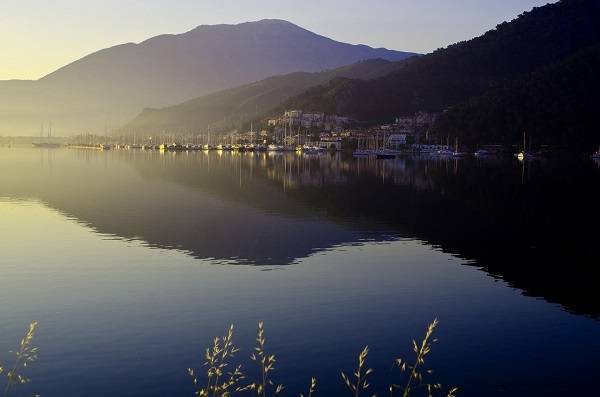 Marmaris should also be on your to do list for a period of respite. Sadly the area is overly touristy these days but the natural beauty of the area cannot be denied. Spend some time on the water and enjoy finding some of the secluded beaches. Take a day trip to nearby Dalyan and experience its local mud baths and visit the loggerhead turtles of Iztuzu Beach. Back in Marmaris, take time to learn to sail and dive or go caving on Heaven Island and explore the ancient Nimara Cave, once used as a place of worship. 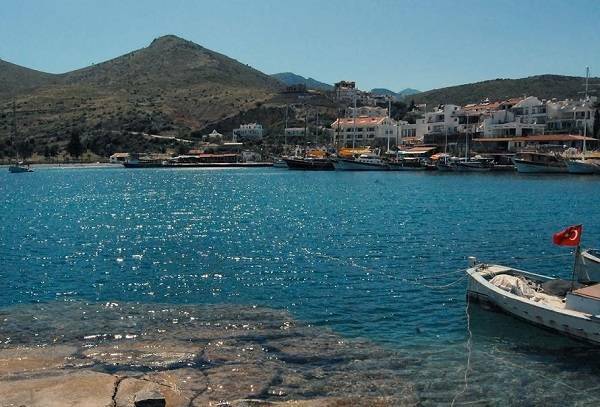 Take another day trip to the Datça Peninsula and scout out the many coves and bays that adorn the coastline. Enjoy the sunshine, the rakı and the Turkish kebabs for a few days and relax! For some of the best beaches intertwined with historical relevance, beautiful upmarket marinas and celeb spotting, head to Bodrum. The dominating castle makes for a wonderful afternoon of exploring and the Museum of Underwater Archaeology is home to some of the most interesting artefacts saved from the many shipwrecks in the surrounding waters. Bodrum is a sailer’s paradise and the small resort of Yalikavak now has its own multi-millionaire marina which is the perfect spot for gazing upon some of the most impressive mega-yachts in the world. Yalikavak is not the only picturesque village in the Bodrum Peninsula, you could in fact spend many days exploring the area and its modern Riviera lifestyle while relaxing in the summer sun. This is certainly a road trip for a more cultured and sociable Turkish adventure! As the most popular area of Turkey, the southern coast and Central Anatolia has much to offer the intrepid explorer and is easy to navigate by car. Fly into Dalaman and drive straight to Fethiye. Here you can enjoy Turkish town life while being able to access nearby attractions such as Olüdeniz, famed for the stunning Blue Lagoon and paragliding from the top of the Babadağ mountain, the abandoned Greek settlement of Kayaköy and the Saklikent Gorge. The Fethiye area is renowned for its hiking trails and incredible natural beauty, surely not to be missed. It is also worth spending a day at the high-end marina town of Göcek for some celeb spotting, fancy shopping, incredibly plush yacht clubs and daily boat trips to the 12 Islands for swimming and snorkelling. 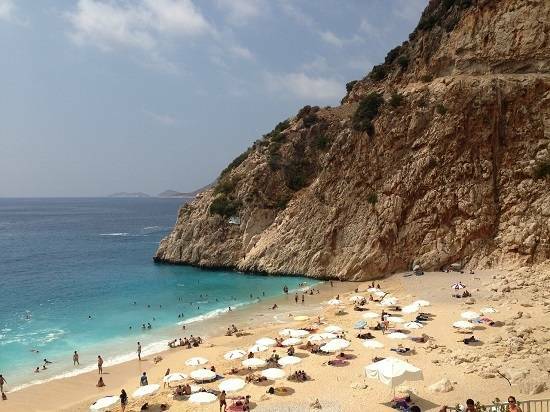 From Fethiye, take the coastal road and consider spending a night or two in the coastal town of Kalkan. Dramatically set upon a cliffside, Kalkan is an old fishing down, famous for its white-washed houses which descend to the sea and its brightly coloured bougainvilleas. Some of the new contemporary designed Kalkan Villas for sale also adds value to the area. The area also includes many historical sites such as Lycian citadel Tlos and the island of Kekova, not to mention its incredible beaches including Patara Beach and Kaputaş Beach. Taking a break from the sea and the sun, head inland to the city of Isparta, famous for its production of rose water and handmade carpets. The city has also become increasingly popular due to biblical tourism as it was a location visited by St Paul on a number of occasions. Isparta sits in amongst Turkey’s Lake District and day trips to Eğirdir and Beyşehir would certainly be favoured among nature lovers. 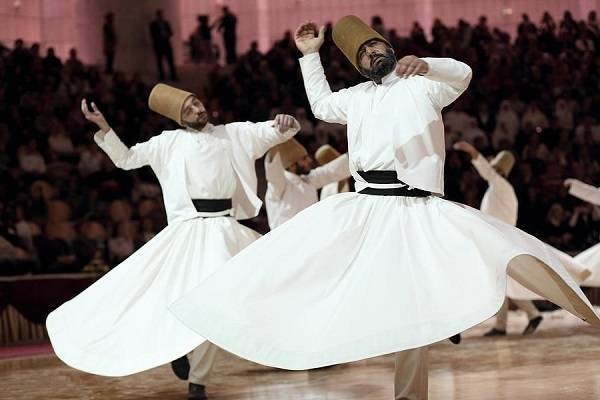 Isparta is also the half way point between Kalkan and Konya, the perfect place to learn about Sufism and see the Whirling Dervishes in action. Konya was also the final home of Rumi, a 13th century Persian poet, Islamic scholar, theologian and Sufi mystic and his tomb can be found in the city. If you didn’t manage to find a Turkish carpet to take home in Isparta, fear not, Konya is famed for producing expensive and richly patterned textiles too. 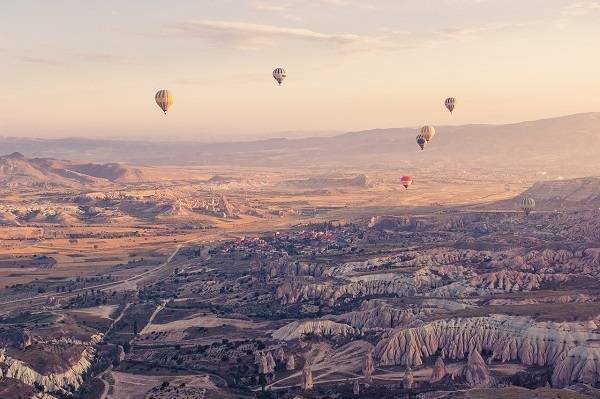 Three hours from Konya is the incredible fairytale land of Cappadocia. You should plan to spend a good few days in Göreme, the perfect base for exploring the otherworldly landscape of this national park. Take the time to hike through the many valleys to find the famous fairy chimneys. Delve beneath the surface and explore the great underground cities of Turkey and go off the beaten track to find hidden temples, churches and cave dwellings. Treat yourself to a stay in one of the amazing cave hotels and experience what life was once like for the cave dwellers of the past and budget for one of the top 100 experiences of a lifetime and watch the sunrise over the fairy chimneys from the comfort of your very own hot air balloon. After all of that excitement, you will need to finish your road trip with a little relaxation. Stay in the coastal city of Adana which you can use as a base to explore the Taurus Mountains and more of Turkey’s Lake District. Be sure to savour the taste of the local Adana Kebab, venture over to Gaziantep for some of the most incredible cuisine in Turkey if you have time too! Turkey is easy to navigate with all major destinations connected by good highways. But the beauty of road-tripping in Turkey is that there are also plenty of nooks and crannies to explore off the main roads, places that a tour bus would never take you! While most people opt to fly into a resort in Turkey and stay there, why not mix it up a bit and take the time to explore? There is no better way than by road! What are you waiting for!? Grab those car keys!